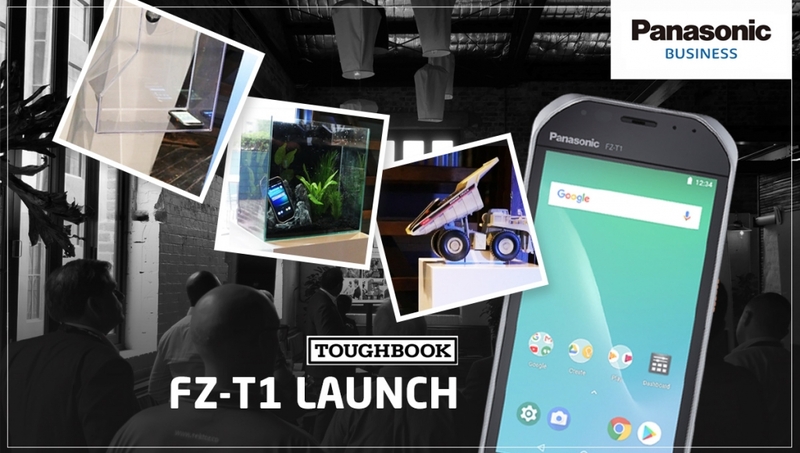 The new FZ-T1 Toughbook has captivated Panasonic guests at launch – splashing, dropping and tumbling – to demonstrate its credentials as a ground-breaking rugged handheld device. 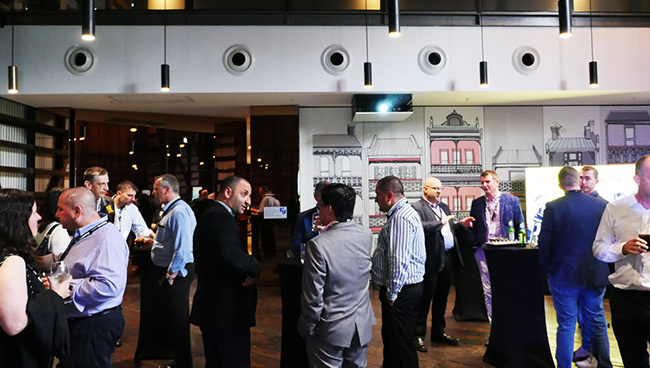 In a series of experiential events for Panasonic customers and media in Sydney and Melbourne, attendees heard from the Toughbook team how the FZ-T1 smashes ‘clunky’ preconceptions, while offering impressive durability and functionality. 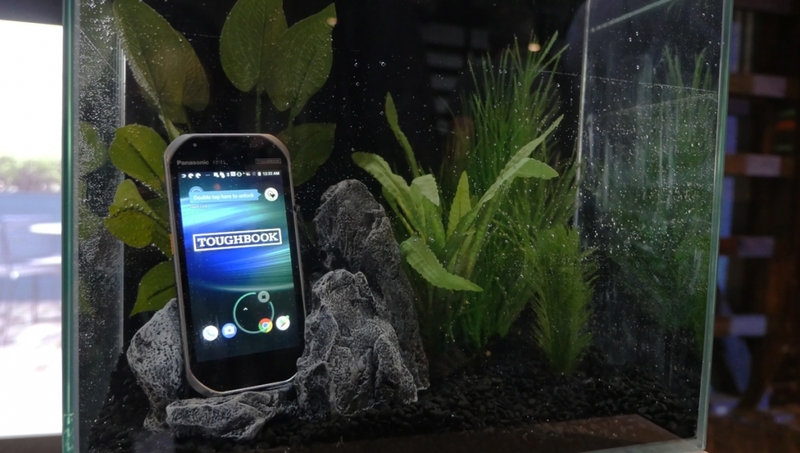 And, they got close up and ‘hands on’ with a live series of tough challenges that brought the product’s unique survival capabilities to life – including a 1.5 metre drop from a mini dump truck, spinning and rattling in a tumble test, and submerged underwater in a fish tank. 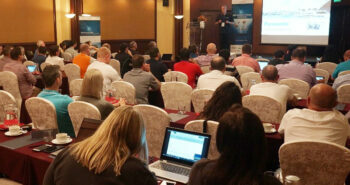 Clare Hose, Toughbook Product Marketing Manager, Panasonic, briefed attendees on this new model; explaining how the eye-catching yet durable 5” Android FZ-T1 brings together the best of handheld and smartphone functionality in a single design, to suit the mobile needs of a broad range of industries such as retail and hospitality, emergency services, manufacturing and transport and logistics. 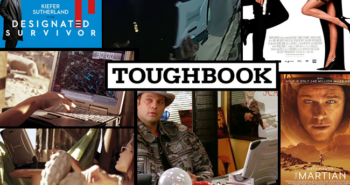 “Mobility in the workplace continues to grow and evolve, and as it does, Panasonic continues to innovate, delivering best in class devices to a wide range of enterprise customers.” – Clare Hose, Toughbook Product Marketing Manager. Worldwide, and locally, the mobile workforce is continuing to experience significant growth. According to a study by the International Workplace Group earlier this year, two in three Australians are working at least one day outside an ‘office environment’ because of technological advancements. So, with this rise of mobile device deployment in the enterprise, companies want a cost-effective device that stands up to every environment that their workers face, and delivers best in class connectivity and uptime. Employees on the other hand, want a sleek device that matches the technology that they’ve become accustomed to in their personal lives! It’s a very fine balance. This balance is one that Panasonic has achieved in the FZ-T1 handheld Android device. It offers the familiar functionality of a smartphone, but is thoroughly designed for the rigors of a fast-paced and unpredictable work environment. We believe the FZ-T1 is one of the most versatile, stylish and affordable rugged handhelds available today. It provides the opportunity for enterprises to expand their rugged fleet to make productivity gains in new areas, as well as appealing to organisations that hadn’t previously considered a rugged device. Specialist tech media attending the launch communicated the FZ-T1’s appeal to the smartphone-savvy but damage-averse mobile workforce, via capturing video and images of the tough tests, and citing key rugged stats. 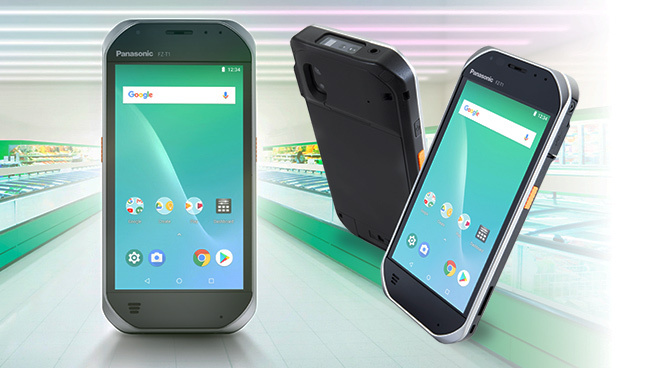 The Panasonic Toughbook FZ-T1 handheld is available in a 4G model, with voice and data capabilities. Built for the needs of the modern mobile worker, the high-performance device has the Android 8.1 Oreo operating system, a Qualcomm Snapdragon quad-core CPU, 16GB Flash and 2GB Ram storage. The lightest and slimmest in Panasonic’s Toughbook handheld range – at under 240g – the Toughbook FZ-T1 is easy to use but remains true to its Toughbook heritage. It is designed for military standard 810G, dust and water resistant to IP68, tumble tested and capable of withstanding drops of up to 1.5m, and operating within a temperature range of -10 to +50°C. With an easy viewing 5” display, the Toughbook FZ-T1 has 10-finger input, daylight readable screen, is capable of operating in the rain and can be used with gloved hands or an optional passive pen. It has an enterprise-class, straight-line barcode reader built-in with two trigger buttons (either side of the device) to make it easy for left and right-handed operators.